One of the strongest memories I have of my childhood is visits to the local milk bar. Inside was a wonderland of goodies; milkshakes, ice cream, sausage rolls, lollies and chocolates. Sadly over the last decade milk bars have quietly faded away, an Australian icon has disappeared like an ice cream melting in the hot summer’s sun. Set back in a quiet suburban street in Doncaster East is Ma.Me Wonderstore. Transformed from a vintage milk bar to a play space and café, Ma.Me is filled with craft and arty treasures designed just for creative, playful minds and you can even buy a carton of milk or a copy of the daily newspaper. As well as offering a range of drop in, casual craft sessions where little ones choose a project (currently wood craft, with a range of Christmas activities launching in December), Ma.Me also offers a weekly, term based or casual program suitable for under 5’s. 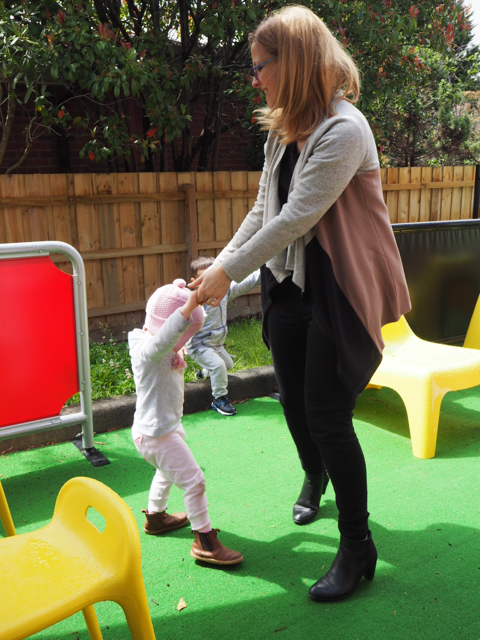 The Play’scool sessions combine structured activities with unstructured play and are designed to provide preschoolers with the foundation of primary school. Conducted every Wednesday at 9.30am, the Play’scool sessions begin with 30 minutes of free play for the little ones. The poppets headed straight towards the rear of the shop to the play area and while mumma and the bartender enjoyed a cuppa from the onsite café, they had fun playing with a variety of different toys including a play kitchen, plastic blocks, Magna Doodle, musical instruments (the mini drum kit was a favourite amongst the mini musicians. 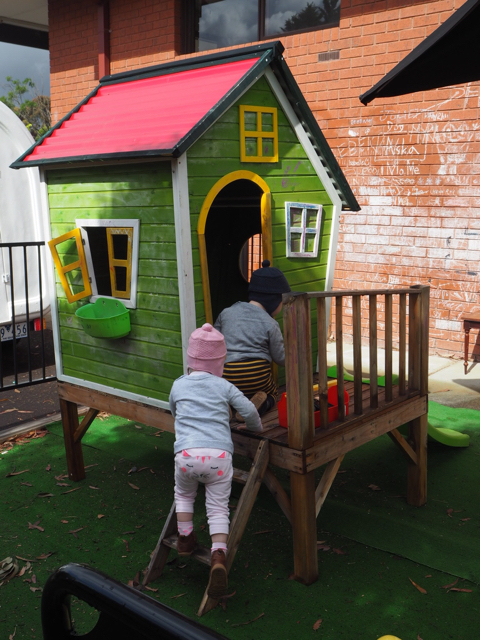 They explored the backyard too which had a fantastic cubby house (with its own slide) and buckets of chalk to draw on the brick walls and concrete paths. 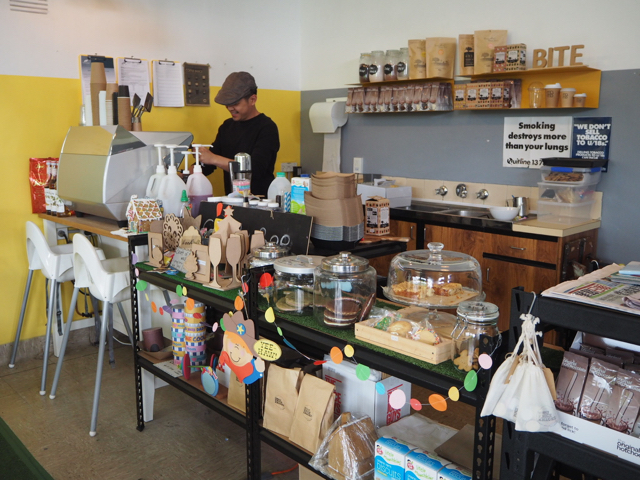 It was then time to move back into the main shop space, which is divided into four areas: craft/gift retail space, craft/café tables, the café counter and general store. The craft/café tables had been set up with a simple summer/ice cream themed collage activity which had the children pulling off the lids to the glue sticks faster than I ever thought possible! 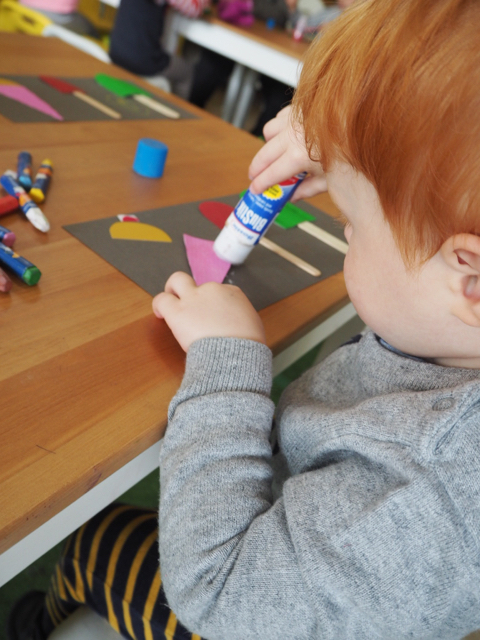 Once the sticking and decorating was done we moved onto a free play painting activity (using super cool Do-a-Dot coloured markers) and Arlo also managed a quick play at the play dough station too. 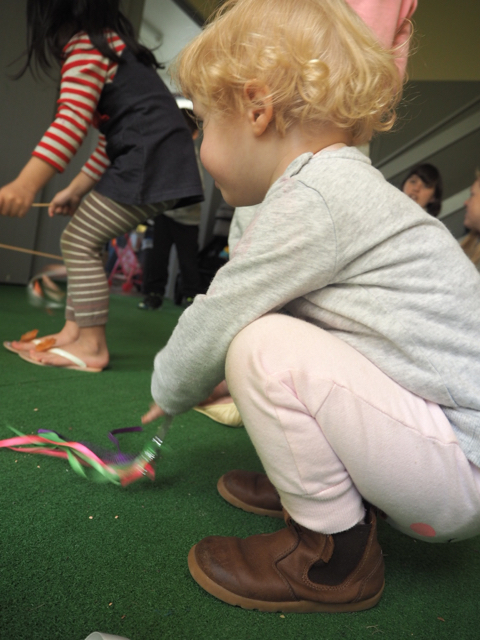 Back into the play room for the last component of our session; story time, music and dance. Rowena, our wonderful facilitator, invited all the little ones onto the floor and in keeping with the summer theme read“Peppa Goes Swimming”, which of course was met with squeals of excitement from her eager audience members! Following the story was a collection of fun nursery rhymes, songs (mumma was a little bit too excited when “Can’t Stop The Feeling” by Justin Timberlake came on! ), dances and movements combined with musical instruments, silk scarves, ribbon wands and bean bags. It was so cute seeing the little ones singing, dancing and moving to the music. Rowena definitely has the special touch to keep them all interested, Macy even loved partnering up with her for several of the dances! As the sun finally began to shine, we moved out to the backyard for our last goodbye song and dance before a cute alphabet card treasure hunt inside that not only tested the children’s letter recognition but also their hunting skills! Arlo was the first to spot “I is for Ice Cream”, well done cheeky monkey. With a range of private party options (including a scrumptious catering menu), Ma.Me offers a fabulous selection of craftiness that will impress every little maker and creator in your family. For more information about Ma.Me and any of their classes, head to their website. For more ideas of what to do with the little ones, head to our Daily Spots List for other programs or where to go and for the latest reviews, head to our main page.